Friday before heading to Butler to photograph the Xavier volleyball team I stopped by Eagle Creek Park to check out the fall colors there. For the most part the fall colors had already left most of the trees. A few trees remained with some brilliant color, but they were pretty sparse. 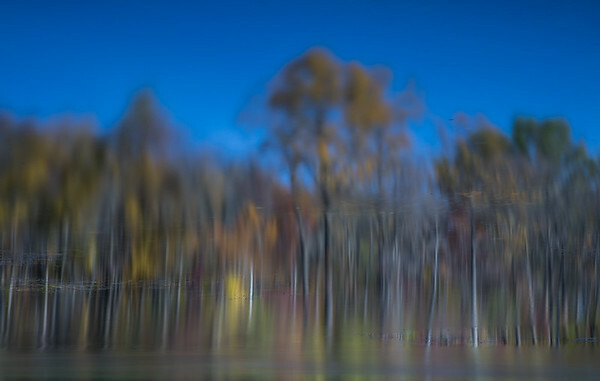 I found myself at Lilly Lake making some photos using the trees and the reflections. I found that I started focusing less on everything above the lake and more on the reflections in the lake. By the end I was just pointed right at the water to capture the reflection. On a windy day the water was never really still so I put my Lee Big Stopper on my lens to slow things up a bit. By the end I was shooting thirty second exposures of the water to get a clearer picture. Each photo was different as the natural current would give me a new look to the photo. I have driven by Eagle Creek many times, but for some reason I had never stopped until Friday. This really is a cool place that it seems like there could be some cool photographs all year round. I really need to budget more time than I had Friday to go out and see just what is in the park. I saw a small portion, and I could see where I could have some fun here. Last week was a fun one when you factor in all that is fun about Halloween. It was also a week where I took some time to photograph some things that I want to photograph which is always nice. You can find some of my favorite photos from last week here on my Exposure page. Maybe one more week with some photos with any color in them, and then the trees will be bare and it will be time to go inside and photograph sports for a while.